1. Maharashtra Seamless Ltd is a 5 rupee face value D B Jindal group company which makes seamless pipes. What is seamless pipe? 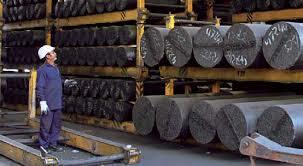 :-Seamless pipe as the name suggests is a pipe without a seam or a weld-joint in contrast to Seam or Welded pipe. In a Seam or Welded pipe, the seam or the weld-joint is the weaker part of the pipe limiting the strength of the pipe to the strength of the weld-joint. 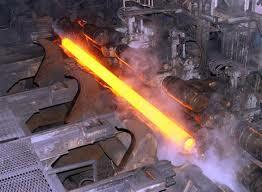 Whereas the seamless pipe does not have any such joint and thus has uniform structure & strength all over the pipe body. Since the commissioning of its 1st seamless pipe mill in 1992 MSL has always been a market leader in India. In the subsequent years MSL added another two seamless mills to increase its volume and range. Even today MSL continues to maintain its leadership position as the largest manufacturers of seamless pipes in India with 3 mills and a total capacity of 5,50,000 M.Tons per year. MSL is also the only manufacturer in India to offer the maximum size range upto 20” catering to customers across all sectors. From the early years MSL has been exporting its products to the oil-fields of the US. Now MSL exports more than one-third of its volume to the markets of the US, Canada, Latin America, Europe, Africa & Asia company. 7. Maharashtra Seamless Ltd net sale per share of FY 14-15 is 202. 8. Net sale per share is also good and Stock is traded below his net sale per share. 9. Book value of Maharashtra Seamless Ltd is 337.95 So in book value term this stock is a value buy at CMP. 8. Overall I think Maharastra Seamless is a good long term investment for 1-2 year and due to recent breakout over 200 DMA this stock is also good for short term trading . 10. My recent updates :- Himadri Chemical & Industries Ltd.
12.Discloser:- I Mahesh Chander Kaushik author of this research report is an existing research analyst and passed NISM certification for research analysts. I am also registered under SEBI(RESEARCH ANALYSTS) REGULATIONS, 2014 ( SEBI Registration Number INH 100000908 ) hereby disclose about my financial interest in the subject company and the nature of such financial interest:- 1 Me and my associates or relatives have not hold any share of Maharashtra Seamless Ltd so my personal interest is not included in this stock. 2. Me and my associates or relatives have not any actual/beneficial ownership of one percent or more securities of the subject company ( Maharashtra Seamless Ltd). 3. Me and my associates or relatives have not any other material conflict of interest at the time of publication of the research report. 4. Me and my associates or relatives have not received any type of compensation from the subject company(Maharashtra Seamless Ltd) in the past twelve months. 5. I am not served as an officer, director or employee of the subject company ( Maharashtra Seamless Ltd). 6. I have been not engaged in market making activity for the subject company (Maharashtra Seamless Ltd).